Some of you that follow me on Instagram voted yes to seeing a post on some of my recent earrings purchases. So I am here with earrings that I have bought myself over the last month or so. All of which are actually from eBay! I've always love earrings, I actually really wish I'd kept loads of my earrings from when I was younger. I had so many pairs from places like Tammy when I was younger that would be totally wearable still. I used to be obsessed, I must have had about 30 pairs, and it was one of the main things I used to spend my money on as a kid. So it's gone full circle, I stopped wearing big earrings and went for studs for quite a few years, now I'm back to 10 year old Chelsea's earrings choice. I've been making myself big tassel earrings for about a year now which you may have seen in a few of my posts (1, 2 or 3) . 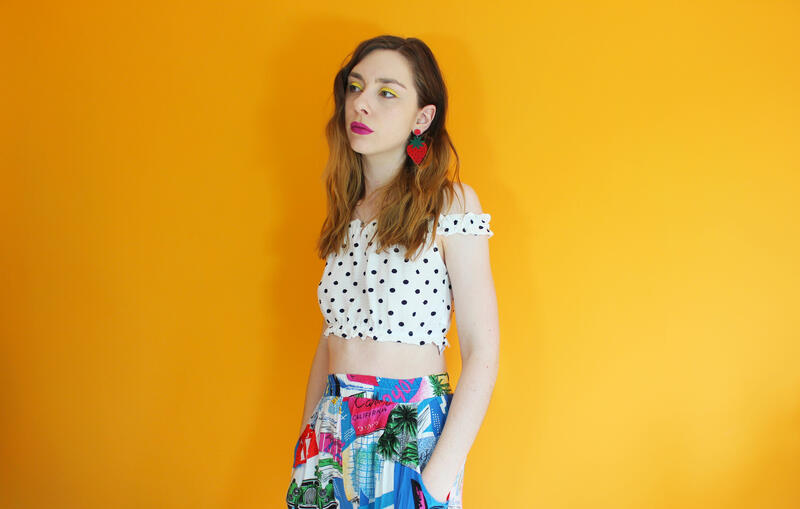 Recently I got myself a big pair of earrings from a cute vintage shop in Budapest and started shopping for more on eBay. 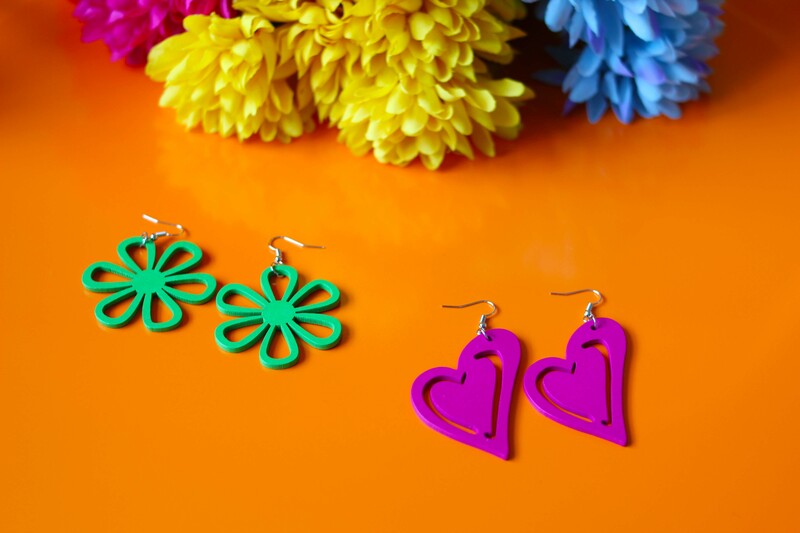 This heart pair of earrings I absolutely adore, they are so childish but perfect for the colour lover! They come in so many different colours and you can get them in star shape too. I have found since wearing them that they tend not to face forward all of the time (the problem with dangly earrings) so I've thinking of adding another jump ring in the connector to see if that helps. 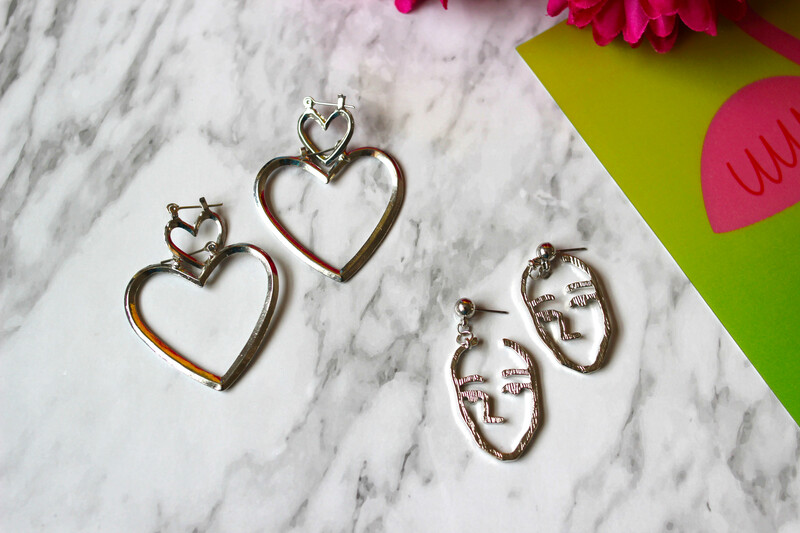 These heart earrings are so cute, they separate to give you two pairs, a small and large pair. I wore these for my valentines post this year. 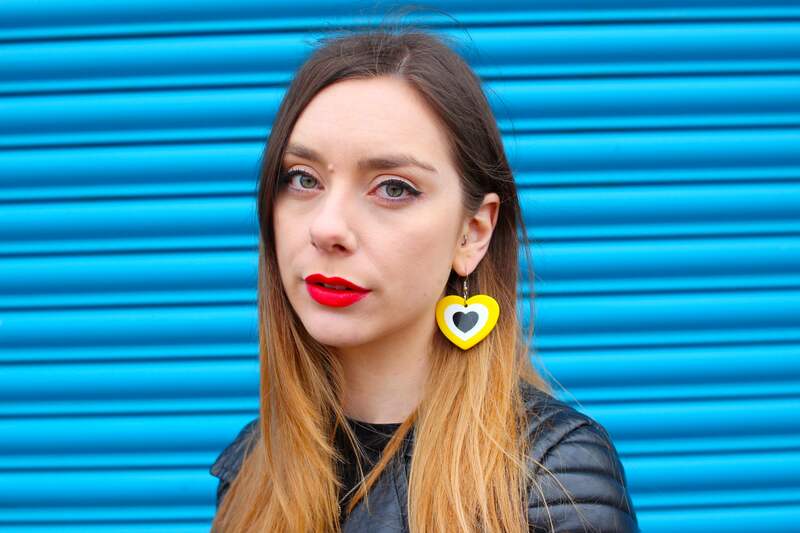 The ever popular face shape earrings are in so many high street stores so I'm sure you'll find them elsewhere but I did get the earrings from eBay. This fruity pair is actually some stock left over from my old jewellery shop and I have a pair listed at the moment. 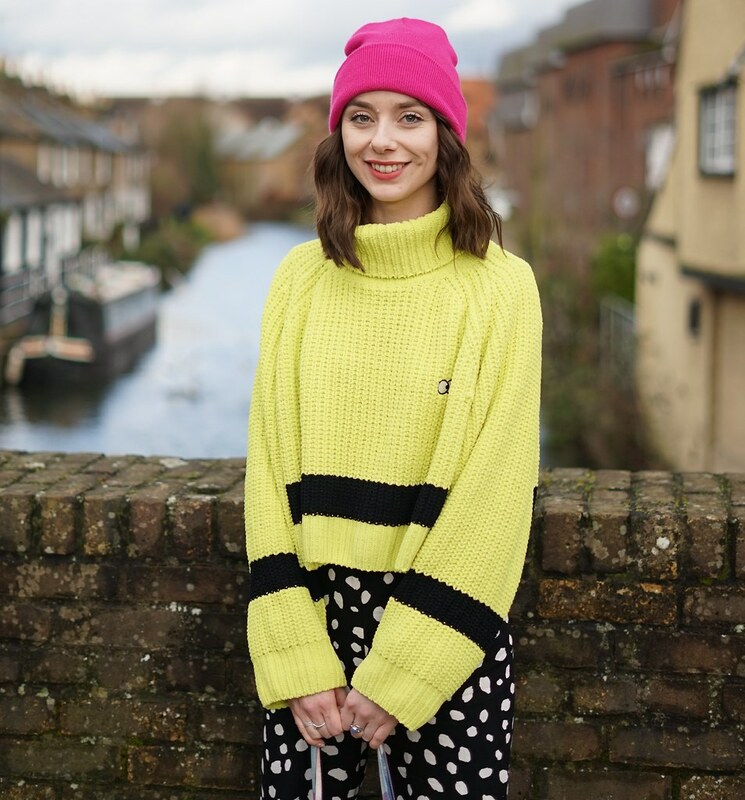 I love the bright colour against the polka dot top! This final pair is my most recent purchase, the seller was lovely and messaged me about the slightly different colour of the product to see if I still wanted it. The image shows a slightly lighter blue but it really wasn't an issue for me. Like the first couple of pairs that I showed you, these earrings come in lots of different colours. Which pair do you prefer? 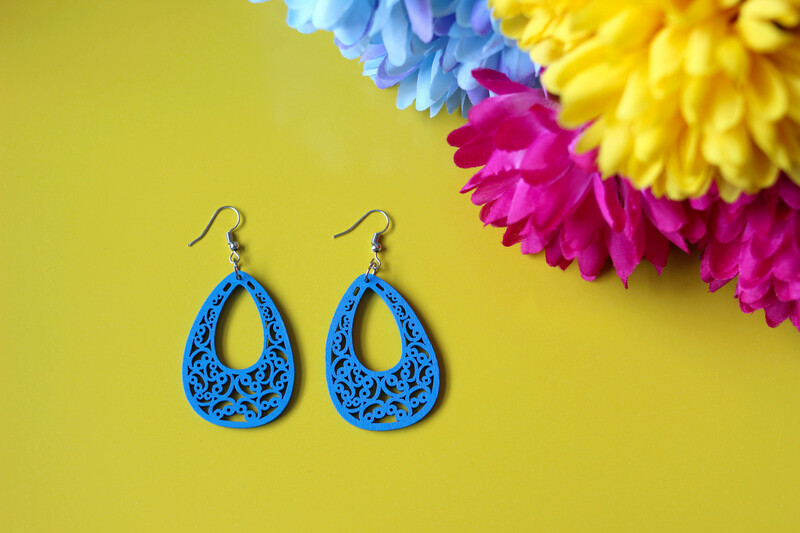 Are you a fan of big earrings? It's really looking good. Thanks for shared your charming jewellery collection with us. If you are thinking about to buy semi precious gemstones then concern with gemsngems.